Titans Gab - Page 3 of 229 - The Definitive Tennessee Titans Blog! 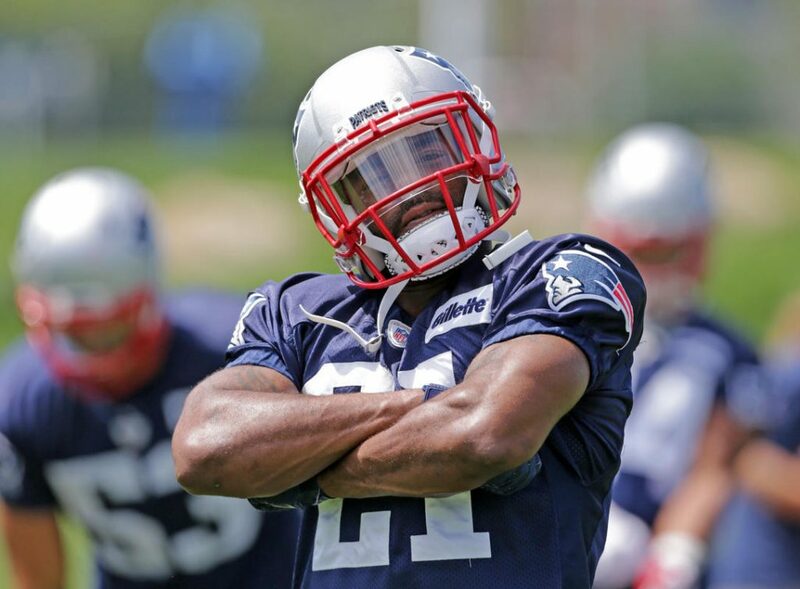 Malcolm Butler is getting used to hot chicken, but the process has been gradual. Butler has embraced his move to Nashville, and, in a larger sense, a change of scenery. It helps with turning the page, though Butler will tell you he did that months ago, Erick Bacharach of the Tennessean reports. Butler, a former New England Patriot and offseason acquisition by the Titans, still can’t escape the questions, though. Why were you benched for last season’s Super Bowl? Why did Patriots coach Bill Belichick not play you for the biggest game of the year after having you start 15 games in the regular season and two in the playoffs? Like all those Super Bowl questions, Butler uses a repeated answer to inquiries about his intensity in practice. It is “too early” to say whether Titans right offensive tackle Jack Conklin will be ready for Week 1 of the regular season according to Jim Wyatt of titansonline.com. Conklin missed OTAs due to January ACL surgery and will likely start training camp on the active/PUP list. The 8th-overall pick in the 2016 draft out of Michigan State, Conklin was one of the top pass-blocking right tackles in the league before going down in the playoffs. 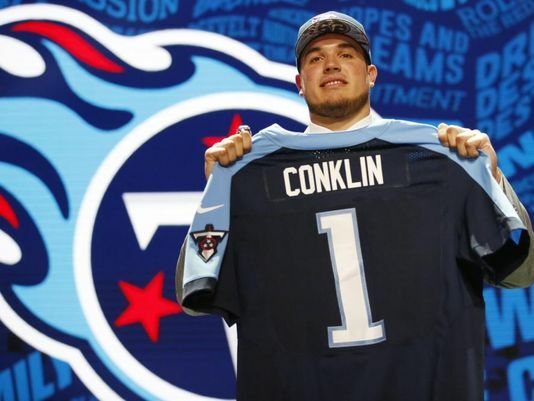 The Titans have a proven backup in Dennis Kelly if Conklin isn’t back for Week 1. The Titans have a new offensive coordinator in Matt LaFleur entering 2018, and his main goal in early mini camps is to make sure quarterback Marcus Mariota knows what he’s doing in terms of learning the teams’ new offense. 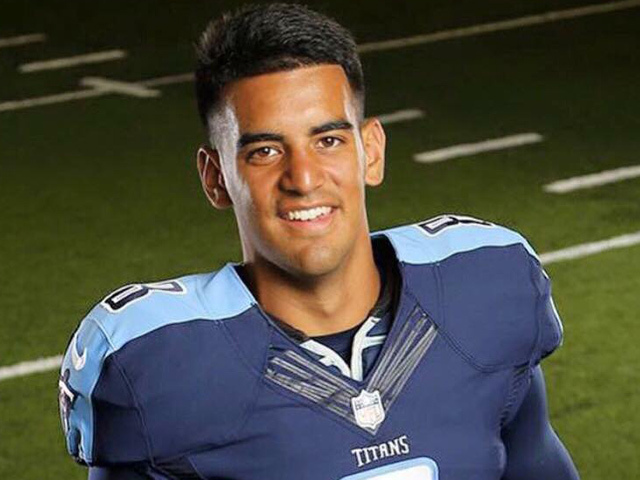 Mariota is busy learning his latest NFL offense, and knows that it will be maybe the biggest offseason story line for the Titans as he gets set for his 4th season in the NFL. That’s exactly what LaFleur expects, even if he’s learning that getting the polite Mariota to speak up isn’t always easy. 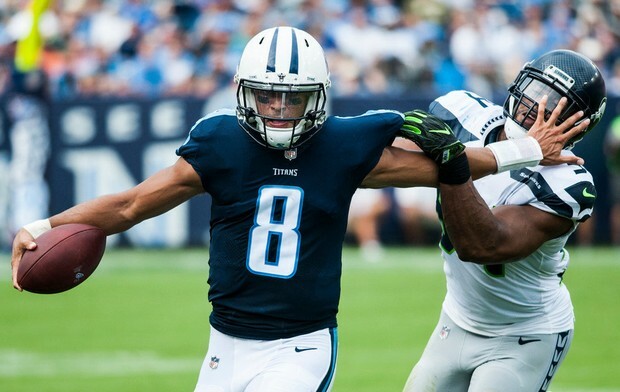 Having Marcus happy, and having the Titans firing all the way around on offense could lead to some big success for Tennessee in the 2018 season. He’s spending the offseason trying to correct that – by focusing on his feet, Jason Wolf of the Tennessean reports. The improved mechanics might, at times, repress his urge to scramble. Not only does remaining in a wider stance improve his accuracy, but also the speed at which he’s able to release the ball. 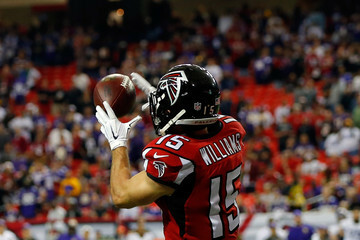 Titans have agreed to terms with veteran wide receiver Nick Williams, the Associated Press reports. The Titans announced the deal Wednesday. The 5-foot-10, 184-pound Williams has played 22 games in his career with the Atlanta Falcons over the past three seasons and Washington in 2013. He has 28 catches for 263 yards and two touchdowns. His best season came in 2015 with Atlanta when Titans offensive coordinator Matt LaFleur was the Falcons quarterbacks coach. Williams caught 17 passes for 159 yards and two touchdowns. LaFleur was quarterbacks coach with Washington when Williams was signed as a free agent. Blaine Gabbert is the “favorite” to win the backup quarterback job with the Tennessee Titans according to Jim Wyatt of TitansOnline.com. The Titans waived trick-shot quarterback Alex Tanney this offseason, leaving only Gabbert, sixth-round rookie Luke Falk, and undrafted free agent Tyler Ferguson to compete for the backup job behind frnachise QB Marcus Mariota. 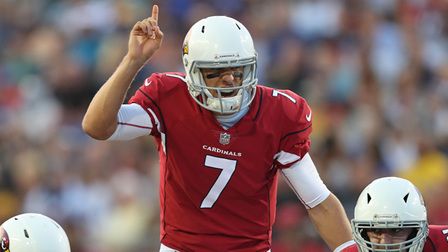 While Gabbert has never lived up to his lofty draft pedigree as the 10th-overall pick in the 2011 draft out of the University of Missouri by the Jacksonville Jaguars, he played surprisingly well in his five-game stint as the starter for the Arizona Cardinals last season. Now 28 years old, the well-traveled Gabbert has a good chance of seeing the field in 2018 given Mariota’s injury history. 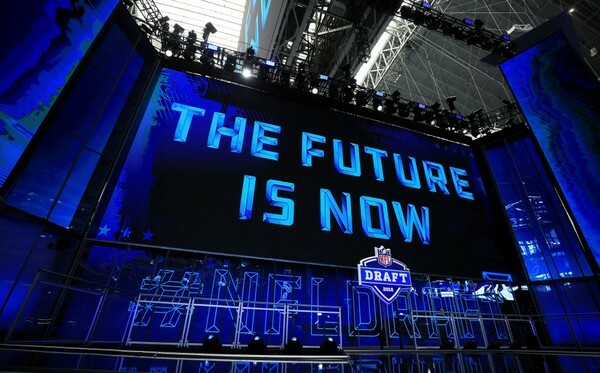 Titans Earn an ‘B-‘ for Their Draft According to ESPN’s Mel Kiper Jr. The draft grades from ‘Draft Guru’ Mel Kiper Jr. are out, and one team that got a good grade is that of the Titans, who according to Kiper got an ‘B-‘ for their collection of players over the two days. Credit GM Jon Robinson and the Titans for being aggressive. They traded up for all three of their top picks. The problem is that depleted their capital for the rest of the draft, and this team isn’t without holes. Yes, Tennessee made the playoffs (and won a game), but I see a depth chart with aging edge defenders and issues at guard, tight end, inside linebacker and wide receiver. So the Titans ended up with only first- and second-round picks, then didn’t have another selection again until the fifth round. They better hit on who they moved up for. As for the players they got with those trades, I do see the fits. 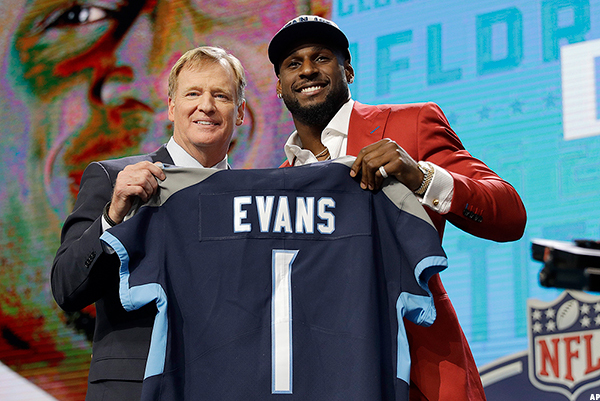 The Titans moved up ahead of 3-4 teams Pittsburgh and New England for Rashaan Evans (pick 22), who will fill Avery Williamson’s spot at inside linebacker. Evans is an every-down player who can run with tight ends and backs, and he’s a great fit for Tennessee’s defense. I actually had pass-rusher Harold Landry to the Titans in the first round in my two-round mock, and they moved up to No. 41 to get him in the second round. He’s the best true 3-4 edge rusher in this class. I love the symmetry of former Patriot Mike Vrabel taking a quarterback with the 199th pick — the same spot in which New England grabbed the greatest quarterback of all time. And Luke Falk actually looks up to Tom Brady and patterns his game after him. Falk isn’t a great athlete, and he doesn’t have the strongest arm, but that’s what teams said about Brady in 1999. So, no, I don’t think Falk is the next Brady, but he can be a solid NFL backup. Again, the aggressive day from Robinson’s front office is noted. With only four picks, the Titans are going to have to hit on a few undrafted free agents, too. The Titans made a move to move up to 22 with the Ravens on Thursday in the first round of the NFL Draft, and then jumped on an impact player, snagging LB Rashaan Evans. Evans was taken with the 22nd overall pick after a trade. He talked to Titans running back Derrick Henry, his former teammate at Alabama, moments after being picked. The Titans are scheduled to make five more picks in rounds 2-7 of the draft, which begins on Friday night.